Postmedia’s top-100 NHL players: If you never saw them play, how can you rate them? I recall lying on our living room floor, watching a playoff game between the Montreal Canadiens and Toronto Maple Leafs in the late 1950s. The red light behind the Leafs goal was flashing (in black and white, of course) and, not surprisingly, Doug Harvey, who breathed the rarefied air that only the National Hockey League elite enjoyed, had been the mastermind behind the Habs’ successful venture. “I hate Doug Harvey,” I muttered to my dad scant seconds after les Glorieux had secured a victory, which was the rule rather than the exception in Stanley Cup skirmishing back then. “Why do you hate Doug Harvey?” he wondered. 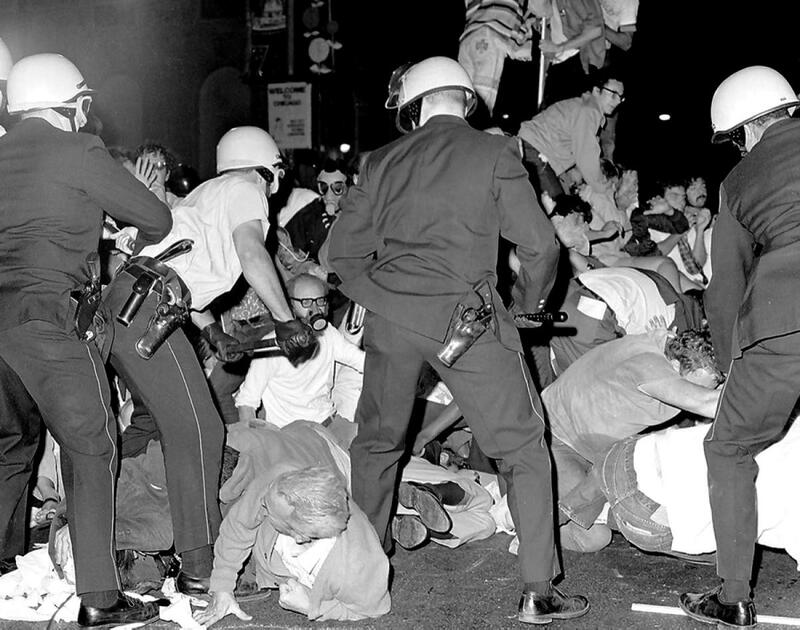 Like most Canadian kids in the ’50s, my eyes would be glued to a black-and-white TV screen every Saturday night during the winter, and every second night during the Stanley Cup tournament, which did not drone on into June. In the case of this particular Habs-Leafs joust, I would have been seven or eight years old at the time. I root, root, rooted for the Leafs. Disliked les Canadiens with an irrational intensity. At that age, my hockey knowledge was limited mostly to the players’ names and sweater numbers. In terms of grading the skill level of those players, the eye test was far from fully developed. How could it be at such a young age? Oh, I knew Doug Harvey was supreme because, as I lamented, he was loath to share the puck with the other team. Every time he hopped over the boards, the game unfolded at Harvey’s whim and tempo. He was the maestro. He was doing the Savardian spinorama when Serge Savard was still in middle school. There were others whose skills I recognized and admired. I delighted in the daring of Habs goaltender Jacques Plante, who didn’t glue himself to the goal crease, and the Leafs’ young Big M, Frank Mahovlich, was something to behold, his skating stride longer than a Winnipeg winter. Gordie Howe always seemed to have his way with everyone, even the tough hombres, and I remember Maurice Richard as a dashing sort, but he was in his hockey dotage and always seemed grumpy. So I didn’t like him. 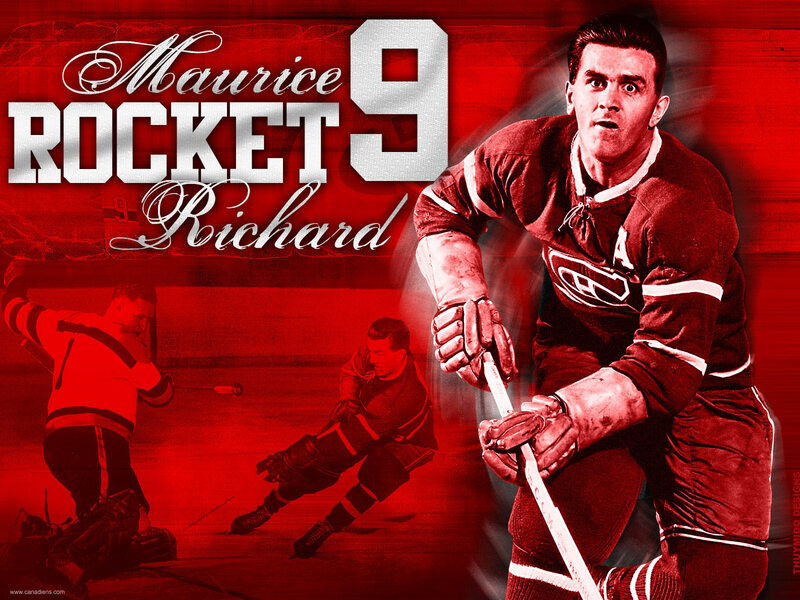 The point is, I can say I’ve been watching hockey since the 1950s, but as much as I witnessed the great Rocket Richard, I didn’t witness his greatness. His signature 50-goal season was in the rear-view mirror when Hockey Night in Canada became a ritual for me on what many kids also knew as bath night. Thus, I cannot possibly rate him as a player. I was too young and he was too old. I give ponder to such matters this morning because Steve Simmons of Postmedia has compiled a top-100 list in recognition of the NHL’s centennial, which arrives in 2017. While an admirable undertaking, his is a fool’s errand. The most obvious and greatest flaw in someone picking the top 100 players in NHL history is not in choosing Bobby Orr over Wayne Gretzky, or vice versa, atop the list. Or anointing Dominik Hasek the greatest goaltender of all time. Or including only three Russians among the fab 100. The flaw, as I see it, is in the person doing the ranking. Precious few are qualified to do it. Simmons does not walk among those precious few. Age disqualifies him. 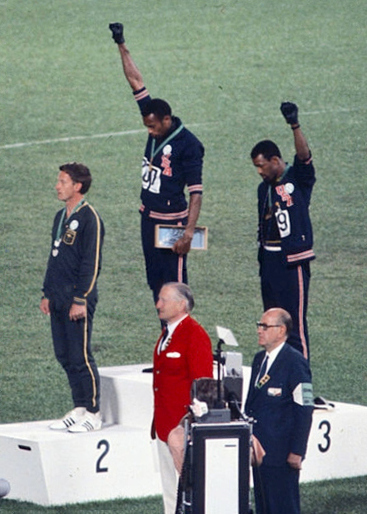 Simmons was born in 1957. He’s seven years my junior. As little as I can recall from the 1950s NHL, he cannot possibly have any first-hand knowledge of hockey from that era. Zero. Bupkus. Unless he was some sort of child hockey savant, which I doubt, his ability to grade players with any acceptable level of expertise wouldn’t have kicked in until the latter part of the 1960s, and I’m giving him the benefit of the doubt there. Yet, by his own accounting, he has listed two dozen players from the 1950s and beyond. He never saw 25 per cent of his personal top 100 play hockey. Forty of his players are pre-1967, when he was 10 years or younger. Or not yet drawing oxygen. Well, my grandparents, parents, aunts and uncles told me stories, too. Look, I need not have seen Babe Ruth swing a Louisville Slugger to know that he was among the greatest hitters of a baseball. But, for me, it’s all about the eye test when it comes to hockey rankings. It isn’t what I read about a player in the record book, or what I see on grainy, black-and-white film on YouTube that has three or four different speeds, or what mom and pop told me. It’s what I’ve seen. My point of reference is 1957—the year Simmons was born. I didn’t realize you could watch hockey from the womb. Apparently, that’s what he did. As I said, admirable undertaking, fool’s errand. 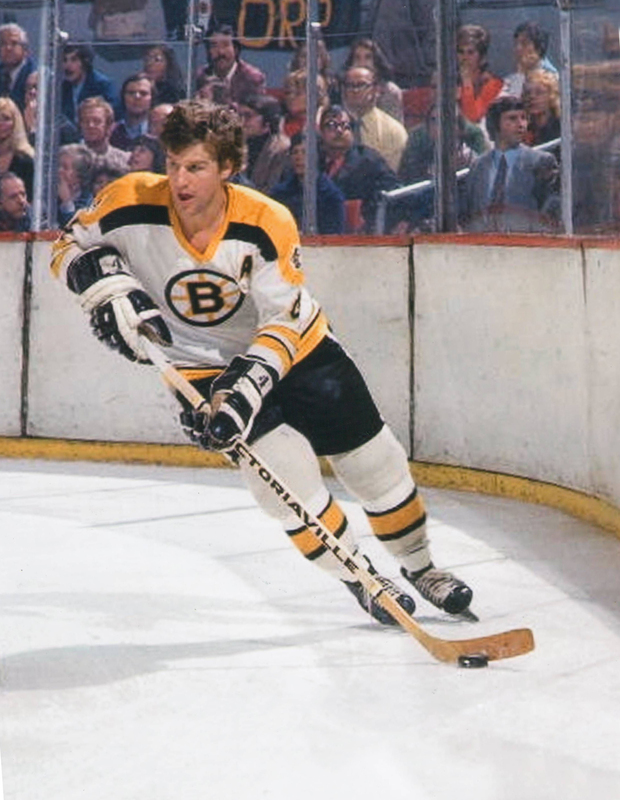 I find it interesting that, on his Twitter page, Simmons gets snooty about age vis-a-vis his overall top pick, advising dissenting followers that “If you’re not 45-50, you never saw (Bobby) Orr play. If you’re not over 50, you didn’t see him at his most dominant.” In other words, how dare the younger generations question his judgement about Orr being No. 1? He’s seen both Orr and Gretzky, don’t you know? You young whippersnappers haven’t. So no one under 50 can make an educated, first-hand comparison between Orr and Wayne Gretzky. Fine. 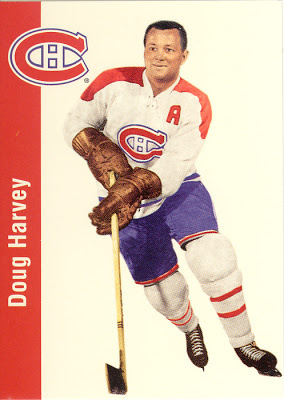 But by that reasoning, if you’re not over 65 you didn’t see Doug Harvey at his most dominant. If Simmons saw Harvey play, he was a 44/45-year-old, dog-eared defenceman whom the expansion St. Louis Blues had dug out of moth balls when Simmons was in Grade 6. Yet that didn’t prevent a 59-year-old Simmons from ranking Harvey No. 8 on his all-time list, second among defencemen behind only Orr. How can he possibly compare Harvey to Orr or, say, Nicklas Lidstrom? Meanwhile, he ranked the Rocket at No. 6. Never once saw him play. So how can he compare him to Guy Lafleur or Teemu Selanne? My grandfather would tell us Rocket Richard was the greatest player ever. My dad would say Gordie Howe. I’d say Bobby Orr. My eldest son would likely say Wayne Gretzky. His kids are apt to say Sidney Crosby. It’s a generational thing that we should acknowledge and respect, not pooh-pooh or dismiss with a pompous grunt. Simmons writes this of Joe Sakic: “Top five wrist shot in history.” He would know this how? Bernie Geoffrion popularized the slap shot in the 1950s. Prior to Boom Boom, most everyone used the wrister. Since Simmons never saw hockey in the ’20s, ’30s, ’40s and ’50s, how can he compare Sakic’s wrist shot to all those old-time players? He can’t rate what he’s never seen. But he does and condemns others for doing that very thing. Go figure. Author pattidawnswanssonPosted on December 28, 2016 Categories National Hockey League, SportsTags Bernie Geoffrion, Big M, Bobby Orr, Boom Boom Geoffrion, Doug Harvey, Frank Mahovlich, Guy Lafleur, Hockey Night in Canada, Jacques Plante, Joe Sakic, Maurice Richard, Montreal Canadiens, National Hockey League, Nicklas Lidstrom, Postmedia, Rocket Richard, Serge Savard, Sidney Crosby, Stanley Cup, Steve Simmons, Teemu Selanne, Toronto Maple Leafs, Wayne GretzkyLeave a comment on Postmedia’s top-100 NHL players: If you never saw them play, how can you rate them? Question Lady: Finally, a chance to take a deep breath and chill. No hockey until Tuesday. Do you need the break as much as I do? Answer Lady: Actually, there is hockey. The World Junior Championship starts on Boxing Day. Question Lady: You mean the “nobody cares except TSN tournament” don’t you? Answer Lady: People care. Maybe not overseas, but we care in Canada. At least I think we do. I guess we’ll know by television ratings. Question Lady: It’s hard to believe that Patrik Laine could be playing for Finland in that tournament. If defencemen and goaltenders in the National Hockey League can’t stop him, how much damage would he do playing against a bunch of kids? Answer Lady: Puck Finn would be scary good. But so would all the other age-eligible players who are in the NHL. Connor McDavid and Mitch Marner could be playing for Canada. Auston Matthews, Jack Eichel, Zach Werenski and Matthew Tkachuk could be wearing the Stars and Stripes. Jesse Puljujarvi is another eligible Finn. There’s a lot of missing star power. It’ll be terrific hockey, but it’s watered down at the top end. Question Lady: You surprised at how well Laine is doing in his rookie season with the Jets? Answer Lady: Yes and no. I thought the over/under for Puck Finn was 20 goals. I just didn’t think he’d get there so soon. I thought he’d have an electric start, then go into a bit of a swoon. Hasn’t happened. Nineteen goals in 36 assignments is heady stuff. Everything about his game is lights-out impressive. Even his own goal—his selfie—was impressive. And I like his cockiness. Question Lady: I think the Jets lead the league in selfies. Nikolaj Ehlers scored one, too. 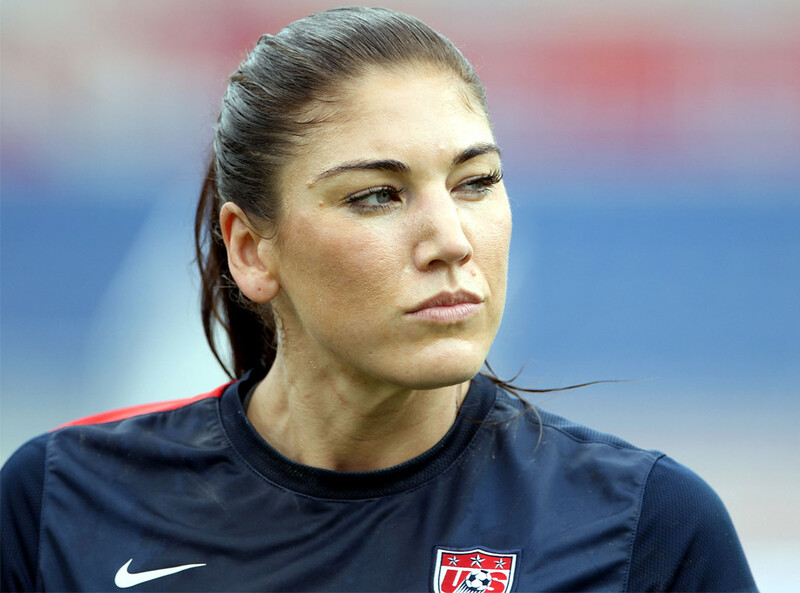 Answer Lady: That was a goaltending gaffe. Michael Hutchinson went all Rip Van Winkle on the boys. Overtime is never a good time for a goalie to take a nap. Question Lady: Who do you like more, Laine or Ehlers? Answer Lady: That’s like asking me if I’d rather listen to Sinatra or Tony Bennett. They’re both brilliant. 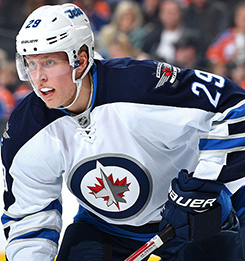 I kind of like Ehlers, though. I call him Twig because that’s how he’s built. He was snake-bit around the net for the longest time, but he discovered his goal-scoring mojo just before the break. Twig is a quick-strike kind of guy. He’s now-you-see-him, now-you-don’t fast. It wouldn’t surprise me if he finished the season with more points than his linemates, Puck Finn and Rink Rat Scheifele. Remember that. You heard it here first. 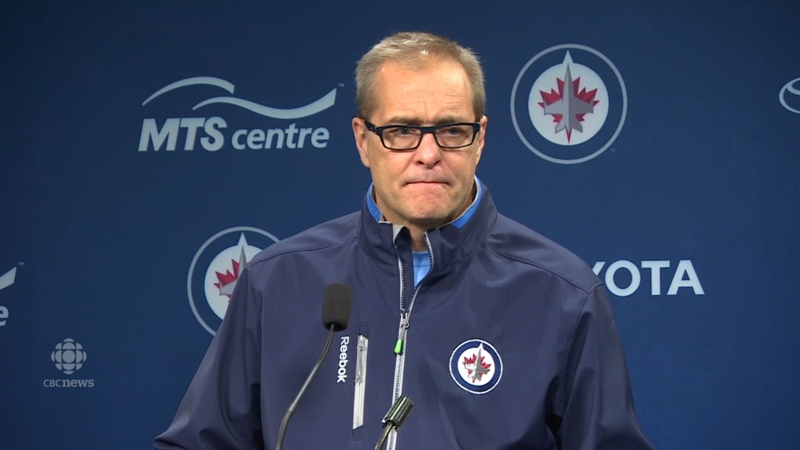 Question Lady: The question is, how long will head coach Paul Maurice keep those three together? Answer Lady: Sometimes I think Maurice is a bit of a basket case. He keeps trying to fix what isn’t broken. The Lickety-Split Line should stay together until the end of time, but I’m sure Maurice will go into his street busker routine shortly after the Christmas break and start juggling his forwards with no rhyme or reason. Paul Maurice, aka Mr. .500. Question Lady: Could that explain why Maurice is a career .500 coach? Answer Lady: Player deployment is probably one of the reasons. Question Lady: There’s been plenty of speculation about Maurice’s future with the Jets. Do you think he should be fired? Answer Lady: No. Not now. This season is Maurice’s mulligan. But going forward into next season, I agree with what TSN analyst Craig Button said about coach PoMo the other day—“(He) is going to have to do a much better job.” Maurice needs to up his game. But can a career .500 coach who’s made the playoffs only five times in 18 seasons do that? I have my doubts. Any lump on a bar stool can tell you that the Lickety-Split Line should never be torn apart, but, as sure as Don Cherry likes good Canadian beer, Maurice will be fiddle farting around with those three lads inside a fortnight. Question Lady: Fiddle farting isn’t a very lady-like term, my dear. Answer Lady: Sorry, but that’s what Maurice does. He fiddle farts. Question Lady: What’s the biggest disappointment with the Jets to date? Answer Lady: Mathieu Perreault. I mean, two goals and seven points? That’s what $4.5 million buys you these days? I realize he isn’t pulling in that much coin right now, but that’s his sticker price next season and $4 mill per annum after that. General manager Kevin Cheveldayoff clearly had a moment of madness when he agreed to that deal. Either that or Perreault has incriminating photos. Chevy gave the guy a four-year extension at that inflated wage for what? Perreault has never had a 20-goal season. He only scored nine goals in 2015-16. He’s brittle…he’s never played a full, 82-game season. Perreault is probably the most overpaid worker in the NHL. I’m guessing Chevy would probably like a do-over on that contract. Or maybe he’s hoping the Las Vegas expansion franchise will take that fat-cat contract off the Jets’ books next summer. Question Lady: What’s your take on Dustin Byfuglien? Answer Lady: What can I say that hasn’t already been said? One minute he’s a jaw-dropping delight, the next he’s back to his d’oh boy ways. Buff is Buff. An asset and a liability. I don’t drink the True North Kool-Aid, so I can take him or leave him. Question Lady: You don’t buy into the Jets’ heavy schedule as an excuse, do you? 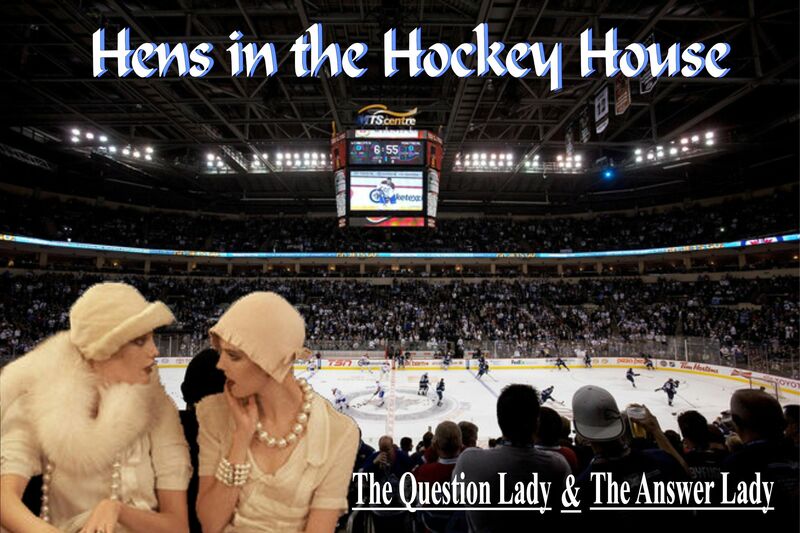 Answer Lady: Seven NHL teams have played 36 games. 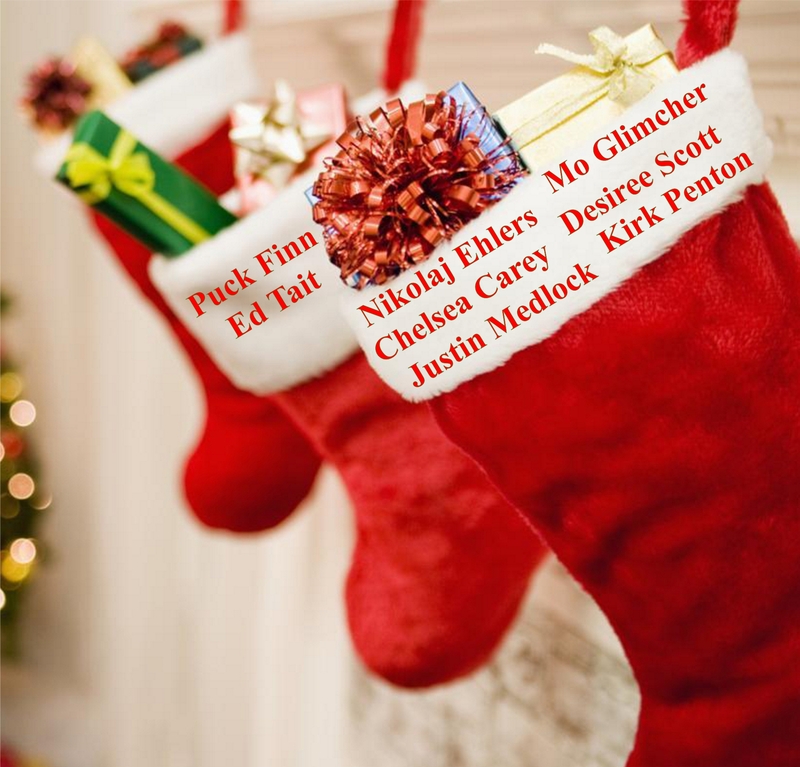 Six of them are in a playoff position at the Christmas break. The only team below the line is Winnipeg. Conclusion: The schedule as an excuse is lame. You know why the Jets are on the outside looking in right now? Coaching, inconsistent play, dumb penalties and goaltending. Question Lady: You include goaltending among the flaws? Answer Lady: It’s been moderate. 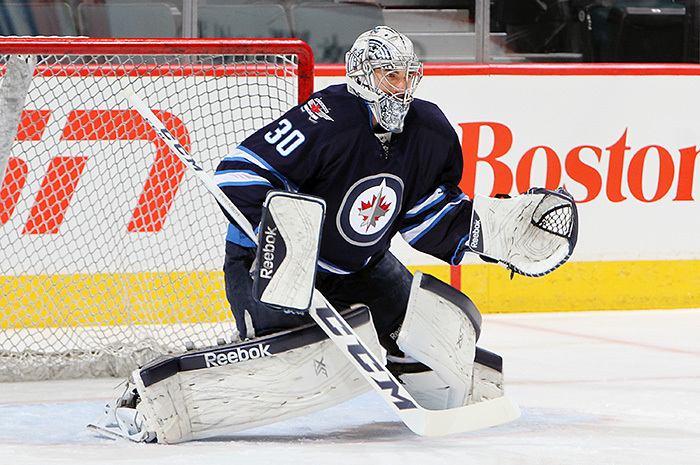 Hutchinson and Connor Hellebuyck need to be better. We already knew that Hutchinson wasn’t a No. 1 ‘tender, so Hellebuyck was the mystery. He’s had his moments. I suppose the jury is still out, but I don’t see him as a No. 1. It’s one of those things I’d like to be wrong about, but I don’t believe the Jets braintrust recognizes talent in the blue paint. Question Lady: What do you expect during the back half of the season? Answer Lady: Much of the same. It’s a toilet-seat season—up and down, up and down. This Jets outfit is very much like big Buff’s game. Bad and brilliant. Question Lady: Still think they’ll miss the playoffs? Answer Lady: Yup. But I’ll enjoy watching Puck Finn, Twig and Rink Rat do their thing. If, that is, Maurice lets them. Sports Santa is back in town and the jolly, ol’ boy isn’t so jolly this year. He’s actually in a bit of a snit. So tell us, Sports Santa, what do you have for the girls and boys in the toy department, a large lump of coal or a nice gift for those who scored big in 2016? 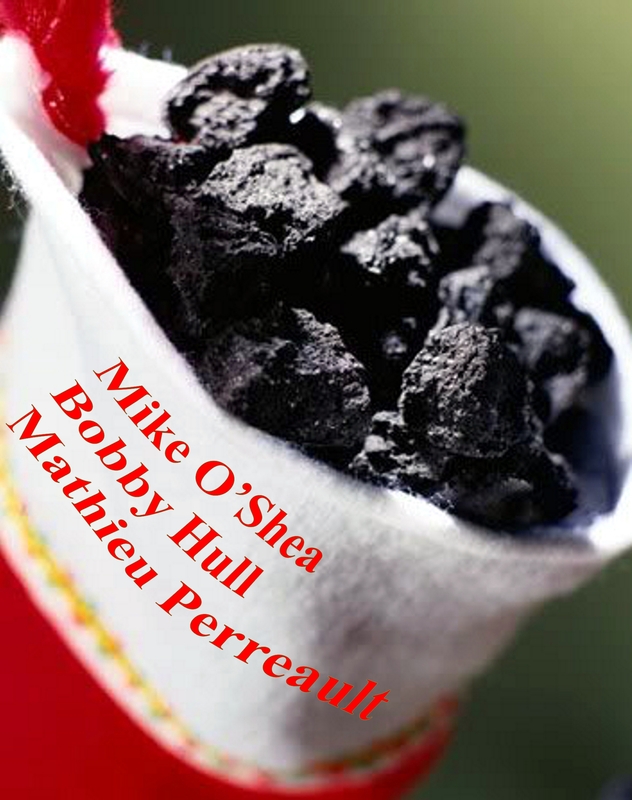 COAL: Mike O’Shea. The Winnipeg Blue Bombers head coach deserves the entire coal bin, not just a lump or two. Where do we begin? It took him five games to realize that Drew Willy was a complete washout as a starting quarterback, he shows nothing but contempt for the media, he made an epic, boneheaded blunder that cost the Bombers any chance of winning the only Canadian Football League playoff game he’s coached in three seasons, then he went on record as saying he’d make the same epic, boneheaded blunder again if given the opportunity. Sigh. GOAL: Justin Medlock. The guy hoofed 60 field goals, a CFL record, but he’ll be remembered as the victim of O’Shea’s playoff brain fart. Asked to kick a 61-yard FG in the dead air of B.C. Place Stadium to preserve the Bombers’ Grey Cup aspirations, his attempt fell seven yards short of the target. He doesn’t take the rap, though. O’Shea does for asking his kicker to do the impossible. 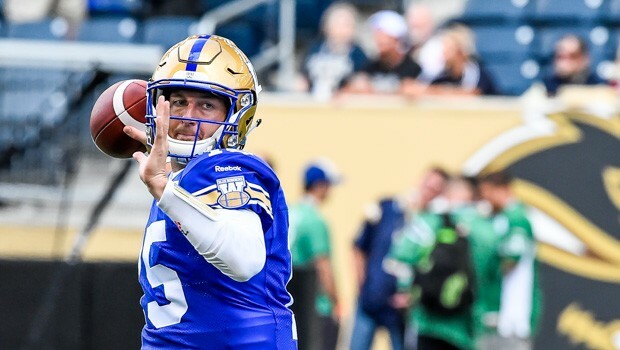 GOAL: Matt Nichols took the ball that O’Shea was ordered to hand him and ran and passed it all the way to the playoffs, putting together a 10-3 record after taking over from Willy as the starting QB. COAL: I put plugs in my ears, so someone please tell me that Paul Maurice has finally stopped squawking about the Winnipeg Jets’ schedule. The head coach provided his workers with a built-in excuse for failure with his constant, oh-woe-is-me carping about the grind foisted upon them by National Hockey League schedule-makers. Coach PoMo’s pity party was pathetic. 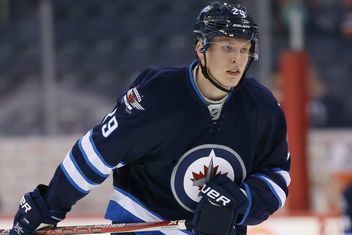 GOAL: What’s not to like about the Jets’ Lickety-Split Line of Patrik Laine, Nikolaj Ehlers and Mark Scheifele, or as I call them Puck Finn, Twig and Rink Rat? The Lickety-Split Line should be terrorizing NHL defenders and goaltenders for the next dozen years. Mind you, with Maurice pulling the strings behind the bench, forward combinations last about as long as a Grade One kid’s attention span. He might have them split up before New Year’s Eve. COAL: When Jacob Trouba and his agent went public with their trade request and the young defenceman chose to stay home rather than attend Jets training camp, teammate Mathieu Perreault branded him “selfish.” Perreault should flap his gums less and do more of what he’s paid to do—produce points. The overpaid and underachieving forward has a whopping seven points (two goals). Stop my beating heart. COAL: He’s among my favorite scribes, but Paul Wiecek of the Winnipeg Free Press totally lost the plot with what came across as a personal attack on Trouba, rather than reasoned analysis. Among other things, Wiecek called him a “malcontent” and “impetuous” and “the biggest loser” and chided him for his “petulance” in requesting a trade and holding out. Well, excuse me, but Trouba was merely exercising his bargained-for right as a restricted free agent. It’s fair to question his decision, but we can do without the schoolyard insults. Wiecek is better than that. GOAL: I’m told Kirk Penton is riding off into the sunset. The best CFL beat guy in the country, Penton leaves the Winnipeg Sun at the end of the year, and that’s a huge blow to the tabloid. No word on where Kirk is headed, but he’ll be a success wherever he lands. GOAL: He didn’t appear in the Sun sports pages often enough, but the now-retired Cam Cole of Postmedia will be missed. His copy was golden. COAL: Postmedia has ransacked the sports writing biz in Canada, with its non-stop stream of force-outs and buyouts of people like Cole, Penton and George (Shakey) Johnson, among others. Postmedia has also left the country with exactly one two-newspaper town west of the Republic of Tranna. That would be Winnipeg, where the Sun and Freep still try to beat the other guy to the story. GOAL: Bravo Desiree Scott. The Winnipeg-born midfielder.made her 100th appearance for Canada in international soccer in February (the 15th woman to do so) and she helped our Olympic side earn a bronze medal at the Rio Summer Games. Desiree and her gal pals beat Germany, France, Australia and Brazil, all ahead of them in the world rankings. GOAL: Executive director Mo Glimcher retired after 41 years with the Manitoba High Schools Athletic Association. I remember dealing with Mo when I worked at the Winnipeg Tribune in the 1970s. Great guy. GOAL: Although she was wearing Alberta colors, Chelsea Carey did Manitoba proud when she skipped her Wild Rose Country team to the Scotties Tournament of Hearts title. Chelsea, the daughter of Dan Carey, was groomed on the curling rinks of Winnipeg. COAL: Evander Kane simply cannot stay out of trouble. Or court. GOAL: A tip of the bonnet to the Puck Pontiff, Mark Chipman, for bringing the Heritage Classic to Winnipeg and linking the current Jets franchise to the roots of professional hockey as we know it in River City. COAL: The Puck Pontiff blew it when he didn’t make original Jets franchise founder Ben Hatskin the first inductee to the Winnipeg Jets Hall of Fame. The late, great Lars-Erik Sjoberg, who wore the C during the Jets glory years in the World Hockey Association, also should have been among the first group to be enshrined. COAL: Bobby Hull refused to join Anders Hedberg and Ulf Nilsson at a ceremony to salute the first three members of the Jets Hall of Fame. What a drip. GOAL: Kyle Walters did boffo business in the CFL free-agent market, purchasing seven free agents at the opening bell. Justin Medlock was the pick of the litter. GOAL (posthumously): We lost curling champion Vic Peters in March. A wonderful person. GOAL: Old friend Ed Tait bolted from the Winnipeg Free Press toy department to the Blue Bombers, where he’s made the CFL club’s website sing with his fine prose. GOAL: Mr. Everything with the Brandon Wheat Kings, Kelly McCrimmon, moved to Las Vegas, where he sits at the right hand of general manager George McPhee with the NHL expansion outfit. GOAL: Winnipeg Goldeyes are rulers of all they survey in baseball’s American Association. The local nine has brought two titles to River City this decade. COAL: Goldeyes owner Sam Katz took a cheap shot at the Bombers and Jets for their lack of success. Such a shame to know you’re still a total drip after all these years, Sammy. You want to talk about a tough schedule, kids (we all know Paul Maurice does)? Well, let me tell you about the mother of all tough schedules. Then I don’t want to hear another word about what the Winnipeg Jets have endured in the first two-plus months of their current National Hockey League crusade. 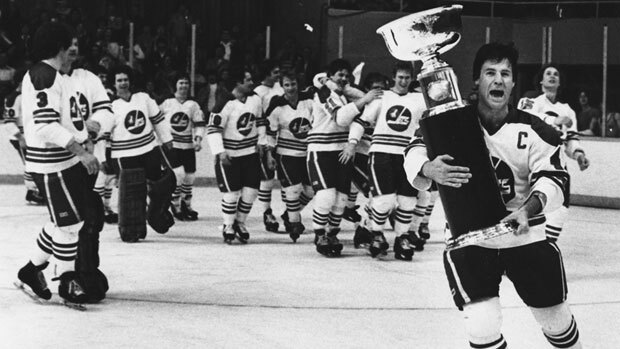 A horrible schedule didn’t prevent captain Lars-Erik Sjoberg and the Winnipeg Jets from parading around the Winnipeg Arena with the World Avco Trophy. Beginning on Jan. 1 and ending on Feb. 27 in the final World Hockey Association season (1978-79), the Jets played 30 games (17 road, 13 home). Do the math. That’s 30 assignments in 58 nights. At one point, they played five games in six nights (3-2) and eight games in 10 nights (4-4). Overall, they went 14-14-2. I don’t recall anyone bitching about the grind and unfairness of the schedule. We just spoke to its quirkiness. We spent more time in Cincinnati than Venus Flytrap and Dr. Johnny Fever (Google WKRP in Cincinnati, kids; it was a terrific sitcom). Our home base had become the Cincinnati Marriott. A couple of times, we weren’t required to pack our bags and check out of the hotel because we would be back in less than 24 hours. “Maybe we should all just have our mail delivered to us at the hotel,” silky-smooth centre Peter Sullivan quipped one day. Some of us could recite the Marriott restaurant menu from memory. The Jets were so tuckered out from their 30-games-in-58-nights grind that they only managed to go 19-10 the rest of the way, finishing 11-8 down the regular-season stretch then 8-2 in the playoffs to win the final WHA title. That’s why I refuse to listen to any more whining about the current Jets’ tough schedule. I don’t want to hear it from Maurice, his players, his parrots in mainstream media, or fans. I’ve witnessed worse and saw it conclude with the best result possible. 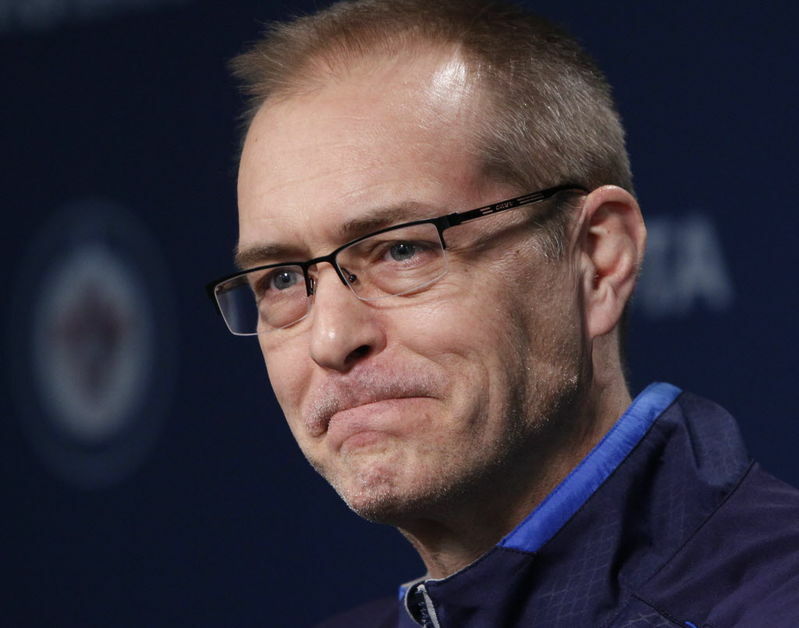 Paul Maurice: Soon he’ll be No. 3 on the NHL’s all-time loser list. I’m not into fancy stats. I like my stats like my life: simple. Thus, I look at the numbers in the W and L columns and they tell me all I need to know about a head coach. And here’s what they tell me about Paul Maurice: He has the second-worst won-lost percentage of all active NHL head coaches who have been on the job more than a month and, by the close of business next spring, the Jets bench boss will be the third-losingest head coach in the history of the NHL. At present, he has 550 career losses. Another 12 and he’ll pass Ron Wilson to slide into the No. 3 slot. That, mind you, puts him in mighty fine company, because the only two men ahead of him on the loser list will be Scotty Bowman and Al Arbour, both Hockey Hall of Famers. The difference, of course, is that Bowman and Arbour are also Nos. 1 and 3 on the all-time win list and they’ve coached nine and four Stanley Cup champions, respectively. I was sold on Maurice when he worked wonders with the Jets in his first full whirl behind the bench. He got them into the Stanley Cup tournament. Two seasons later, he no longer is working wonders. Some, in fact, wonder how he’s still working. Worth considering is this: A number of the Jets young players will improve as they mature, but Maurice won’t ever be a better coach than he is today. If the head coach can’t grow with his players, when is the right time to dismiss him? The best of jock journalism in Canada is no more. Cam Cole of Postmedia has arrived at trail’s end, after 41 years as a jock sniffer. Cam was never a ranter and raver like, say, his Postmedia colleague Steve Simmons, who believes he who squawks the loudest rules the day. Cam, a very nice man, most always wrote in reasoned, measured tones with a subtle wit, and he had a heck of a ride, showing up in time to write about both the Edmonton Eskimos and Edmonton Oilers dynasties. Cam’s retirement means the torch as our nation’s top jock columnist is passed to Bruce Arthur, who’s very socially conscious and actually injects humor into his scribblings for the Toronto Star. The boys and girls in the toy departments of the land got it right in their salute to kid swimmer Penny Oleksiak as Canada’s athlete-of-the-year. She struck gold in the pool at the Rio Summer Olympic Games and twice at the recent world short course championships. It was a no-brainer. I did, however, find it odd that Andre De Grasse was part of the Lou Marsh Trophy discussion. Yes, I realize his bromance with Usain Bolt in Rio was a warm-and-fuzzy Olympic storyline, but De Grasse never won a race. He finished second or third. Shouldn’t you actually have to win something before you warrant consideration as the True North’s top jock? There should have been just three athletes in that conversation: Oleksiak, hockey player Sidney Crosby and golfer Brooke Henderson. I don’t know about you, but I find the Auston Matthews-Patrik Laine debate kind of silly. Go ahead and discuss which of the two is enjoying the better freshman season if you like, but to engage in a verbal to-and-fro over who will have the better NHL career is foolish in the extreme. Discuss that amongst yourselves when Matthews and Puck Finn have some mileage behind them. Like, in about 15 years. Really enjoyed old friend Paul Friesen’s piece on the fictional Bud’s Diner in the Winnipeg Sun last week. It’s a nice, lighthearted piece that, although some might find hokey, shows imagination, creativity and a sense of humor, something that’s lacking in jock journalism. I was also pleased to see the return of my favorite Grumpets—Paul Wiecek and Steve Lyons—to the Winnipeg Free Press sports pages. Their Say What?! print chin-wag is light, breezy and often self-deprecating, with an appropriate amount of bite. Did you get in some extra kip time the past couple of days? Hit the ol’ snooze button and rolled over once or three times, did you? Maybe caught an extra 40 winks? Perhaps your players did the same thing, eh? Well, who can blame them? Or you? Coach Paul Maurice: The schedule is not fair, it’s not fair, it’s not fair, it’s not fair. I mean, to hear you tell it, those mean and nasty National Hockey League schedule-makers are the Grinches who stole your season. Why, they’ve insisted that your Winnipeg Jets perform 32 times in just 60 days. Can you imagine that? Demanding that millionaires put in three hours of work every second day? The nerve. Don’t get me wrong, coach PoMo. I’m not making light of your players’ plight. I know the gig is a grind. Been there, done that. Not the games, mind you. But I can relate to all that travel. All those hotels and airports. All those late nights to unwind and the early-morning bus rides. All those odd eating hours. Dealing with all those morons in the media. I know the drill. So it’s little wonder that you keep droning on about your millionaire workers being more worn out than the cover on a travelling preacher’s Bible. I’m just as concerned for your wellness, though, coach PoMo. No doubt you’re plum tuckered out, too, given that you’ve been flapping your gums incessantly about the schedule for the past month. Seriously, dude, you’re killing me. I get it, already. You’re a fan of the schedule like I’m a fan of Miley Cyrus’s music. So let it go, man. Move on. After all, the boys on the hockey beat will happily do your bidding as whinging surrogates. The scribes mention the schedule almost as often as you do, coach PoMo. Even the Globe and Mail picked up the chant on Monday. They aren’t as caustic or facetious as you, though. They just deliver the facts. Or, rather, select facts that lend support to your lament. Well, it’s also “a fact” that the Calgary Flames have endured a similarly demanding grind in this 2016-17 crusade, with one less assignment than your Jets. In the same time frame. Yet that hasn’t prevented them from putting up a W in each of their last six jousts and skating above the playoff line. Ditto the Edmonton McDavids. Here’s another “fact” that you and your Kool-Aid swilling friends in the media ignore, coach PoMo: While it’s true that your team played 32 games in 60 nights, only seven of your players have suited up for each assignment. What about the other 19 guys you’ve sent into the fray this season? They all too pooped to pop, too? Look, coach PoMo, it’s one thing for news scavengers in River City and at the Mop and Pail to drink your Kool-Aid and bleat about the schedule, but it comes across as a wah-wah-wah pity party when an NHL coach is providing the lead vocals. Puck Finn: A classic selfie. So do yourself a favor: There was no game on Monday night, there’s no game tonight, and there’s no game on Wednesday night, which provides you with ample time to a) sleep in, b) get your jaw wired shut, or c) come up with a fresh topic. You know, something like why Mathieu Perreault has become such a waste of space or Patrik Laine’s own goal. I must say, coach PoMo, I’ve been watching hockey since the late 1950s, which, if you’re keeping score at home, is about 10 years longer than you’ve been alive, and I can’t recall seeing a more emphatic own goal than the laser beam that Puck Finn sent past Connor Hellebuyck on Sunday against the McDavids in Edmonton. Gives new meaning to the term “selfie,” don’t you think? I’ll say this for the kid, though: He didn’t run and hide from news snoops after the fact. He sat and endured their post-game interrogation. He owned his mistake. Good on him. That’s something you might want to consider, coach PoMo. Taking ownership. Next time someone with a notebook or microphone approaches, instead of running and hiding behind the schedule, talk about the cold snap, talk about the new polar bear at the zoo, talk about opening up Portage and Main to pedestrian traffic, talk about your last-minute Christmas shopping. Just do what those Grinch schedule-makers have done for you this week—give the lame excuses a rest. 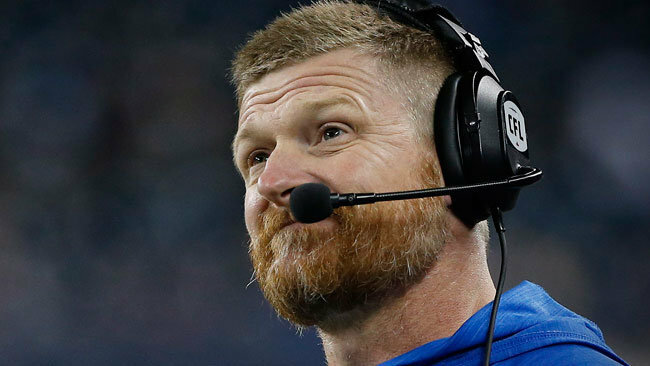 The Winnipeg Blue Bombers have given head coach Mike O’Shea a new set of downs (three years worth) and general manager Kyle Walters is good to go for another four Canadian Football League seasons. To discuss this development, I bring in my two Gridiron Girls who, when last seen, were at the Grey Cup game in the Republic of Tranna but disappeared somewhere into cyberspace. Lady Blue: Well, I guess it’ll be a very merry Christmas in the Walters and O’Shea households this year now that they’ve got those spanking, new contracts. Lady Gold: Nobody should be surprised that the Bombers have re-upped both the head coach and general manager, because the club showed substantial improvement in the final two-thirds of this past season. But giving O’Shea three years instead of two? What’s that all about? Lady Blue: Beats me. The guy in the short pants is 23-31, so I guess his first two seasons on the sideline were like the tree falling in the forest—it didn’t really happen. It’s like Walters and CEO Wade Miller based everything on the final 13 games of the 2016 crusade, when the Bombers went 10-3. They conveniently ignored the first 41 games of O’Shea’s sideline stewardship, when he was 13-28. Lady Gold: I’m okay with O’Shea coming back, but if 23-31 and losing your one and only playoff game—after leading by 19 points!—is worth a three-year reward and probably a raise in pay, what do they give him if the Bombers actually accomplish something worth shouting about? You know, like ending a 26-year Grey Cup drought. 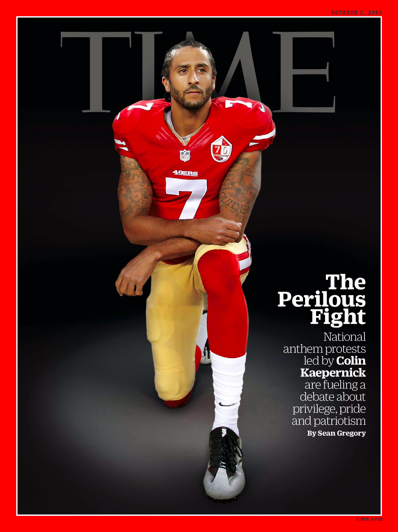 Lady Blue: I guess he’ll get a lifetime contract and a statue right beside the bronze Bud Grant outside Football Follies Field in Fort Garry. I wonder if the guy who sculpts the O’Shea statue will have him wearing short pants. Lady Gold: Wouldn’t they make quite the pair? A bronzed Bud Grant in his trademark trench coat and O’Shea right beside him in a pair of baggy, bronze shorts. I know which one I’d poop on if I was a pigeon. Lady Blue: Ouch. That’s a low blow. Lady Gold: I guess it was. Mea culpa, mea culpa, mea maxima culpa. It’s just that I don’t understand how O’Shea’s record warrants a three-year contract. Seriously, if 23-31 and no playoff victories earns you that kind of security, the guy basically has become the Bombers coach-for-life. I agree with you that Miller and Walters based everything on 13 games and turned a blind eye to O’Shea’s most glaring gaffes. Lady Blue: Like starting the wrong guy, Drew Willy, at quarterback. Like not starting Taylor Loffler at safety until injuries forced his hand. That’s brutal player evaluation. 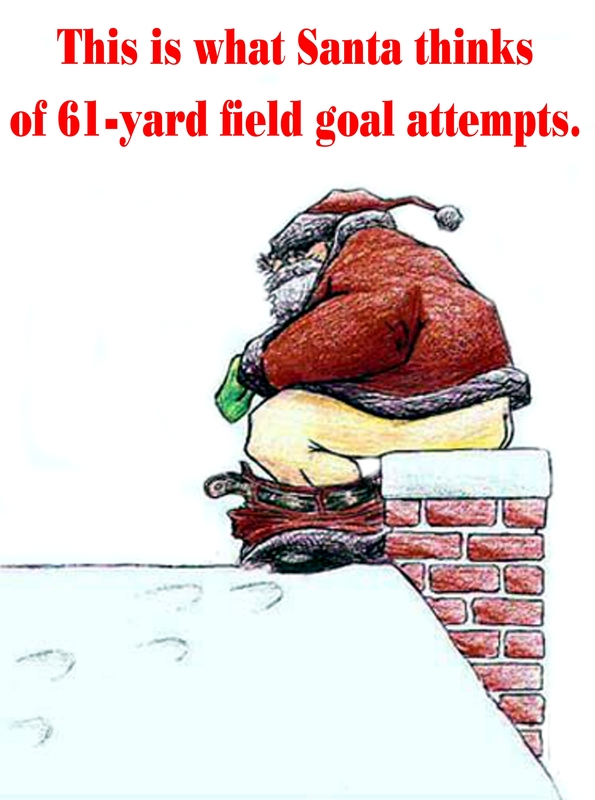 Lady Gold: And let’s not forget the lamentable 61-yard field goal attempt that ended the Bombers’ season in Vancouver. And to think, given the same scenario, O’Shea says he wouldn’t do anything different. He’d still put his team’s fate on the left leg of Justin Medlock, knowing full well that no one has ever hoofed a 61-yard field goal in B.C. Place Stadium. He’d do the same dumb thing. Lady Blue: That decision rated a 10 on the dumb-o-metre. Dumbest call ever. Ever. 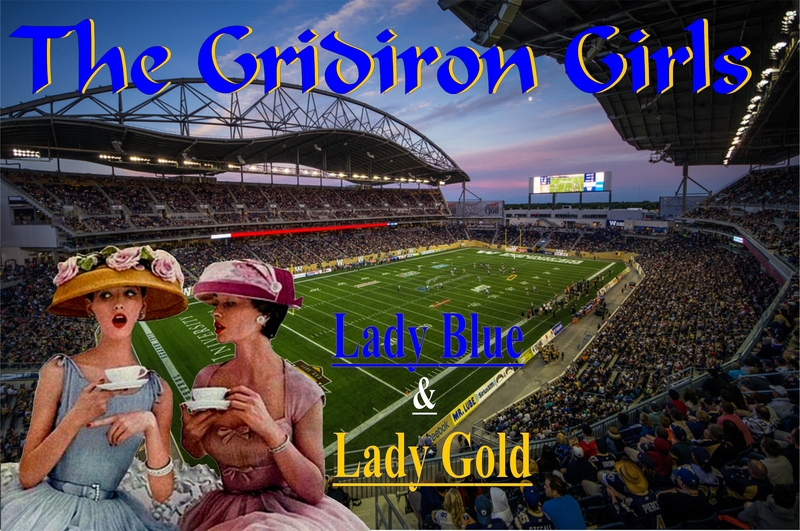 Lady Gold: Worse than what Dave Dickenson did in the Grey Cup game? I mean, the Calgary Stampeders were two yards away from winning and he takes the league’s Most Outstanding Player, Bo Levi Mitchell, out of the game and puts the ball in a rookie, third-string quarterback’s hands. And he doesn’t give it to the league’s leading rusher, Jerome Messam. That’s a massive brain fart. Lady Blue: I still say O’Shea’s decision to attempt a 61-yard field goal rather than gamble on third-and-four was the dumbest coaching decision ever. Except maybe Marc Crawford’s refusal to tap Wayne Gretzky on the shoulder to take part in the shootout at the Nagano Olympic Games. Lady Gold: Pete Carroll’s call that cost the Seattle Seahawks the 2015 Super Bowl was epicly dumb, too. O’Shea’s not the only coach to ever wear a dunce cap. Lady Blue: What bothers me most is that O’Shea didn’t learn anything by his mistake. He’d do it again. Isn’t that the definition of insanity? Lady Gold: Something like that. But let’s move on to another pertinent issue: Matt Nichols. Do the Bombers bring him back at any cost? Lady Blue: Did you hear Walters’ answer to a variation of that question at the presser on Friday? It took him half a dozen seconds of silence before he managed to mumble, “Um.” He says he’s “cautiously optimistic” that Nichols will re-up, but he also says there are Plans B-C-D…all the way to Plan Z if Nichols bolts. The head coach has already proven to be quarterback blind, so I shudder to think what Plan B is and I’m horrified at the thought of Plan Z. That might include 81-year-old Kenny Ploen or a Ouija board to summon the spirit of Jack Jacobs. Lady Gold: I can’t imagine there’d be much of a market for Nichols. Lady Blue: Toronto needs a starting quarterback because Ricky Ray has become as brittle as burnt toast and Drew Willy is a washout. Montreal is still looking for the heir to Anthony Calvillo’s throne. But the coaching/management situation in both those towns is iffy. Nobody knows who’ll be minding the store. If Nichols arrives at free agency, those are his likely landing spots. Saskatchewan might need a QB, but I doubt Chris Jones would be interested in him. He didn’t want him in Edmonton, why would he want him on the flatlands? Lady Gold: What about the cost, though? He’s asking for $450,000. That’s a stiff sticker price for a guy who hasn’t won anything. Lady Blue: It’s either that or they break out the Ouija board and talk to ghosts. Pick your poison. Lady Gold: I’m guessing that Nichols re-ups. He’s got a good thing going here. He’d have to reinvent himself all over again in Montreal or Toronto. Lady Blue: I hope you’re right. Anyway, time to go. Got some last-minute shopping to do. Lady Gold: Okay. Happy Christmas and merry New Year.